Photo by me, taken in France. Source of Quote: FLOW Magazine, Issue 29, Page 29, "The Action Plan"
Learn to use our anger for good. Use it to motivate us to rise to a challenge. 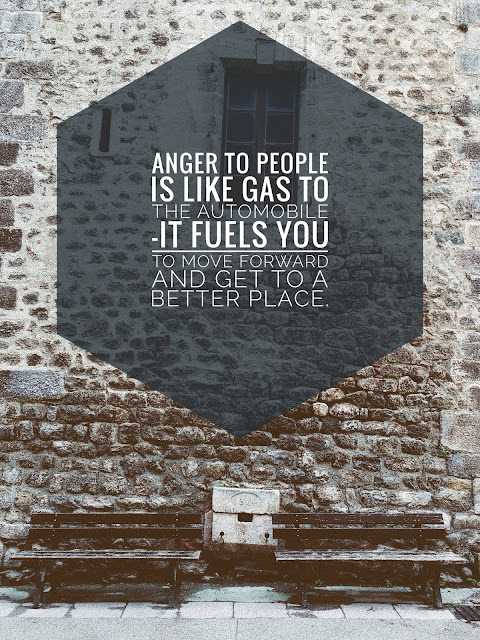 Use our anger for good. The anecdote comes from The Gift of Anger: And Other Lessons from My Grandfather Mahatma Gandhi, written by Arun, MG's grandson.